Today, tech startups are positioned as uber cool problem-solving entities packed with innovative solutions to everyday problems. And it would be quite unfair to label your revolutionary tech product or business with a conventional name. Many startup founders name their company on the basis of domain name availability. However, this isn’t the case when it comes to choosing a name on new domain extensions. Your startup’s domain name is an extension of your brand and is closely associated with your business name. Traditional generic top-level domains such as .com and .net have been around for decades. Since then, hundreds of new domain extensions such as .tech, .store, .space, .online, to name a few, are now available to choose from. As a promising tech startup, your business deserves a name that is innovative and intuitive and one that can blossom into a strong brand. With this post, we cover 5 compelling reasons to consider new domain extensions for your tech startup. There is a good chance that www.yourcompany.com and www.yourcompanyname.net are already taken. This is because the internet is home to over a billion websites and traditional top-level domains such as .com, .net, and .org have been around for decades. Needless to say, thousands of businesses are using one of these traditional domain names to denote their space on the web. However, the chances of www.yourcompanyname.tech being available are very high. For instance, www.cloudcoder.com is taken, but www.cloudcoder.tech is available. As a new domain name, .tech is available and super relevant for your niche. .tech is short and memorable and neatly describes what you do and what your business is about. Finding three or four-letter word names on traditional domains is almost impossible, and if available, they’re obscenely expensive. On the flipside, a meaningful word or phrase on new domain extensions will cost you only a couple of dollars. Not only that, new domains empower your tech startup to build authority and affluence in your niche. A tech startup using .tech to denote their business on the internet comes across as an innovative and future-focused business. A fitting example here is Care Team, a technology healthcare startup that uses www.careteam.tech to denote their expertise. As an early stage startup, your only goal is to sell your product or service and share your mind-bending idea with the world to spread awareness about what you do. Marketing, if done right, can do wonders for your startup and catapult it to a become the next ‘big thing’. New domain extensions enable businesses with the option to choose a snappy name that is short and easy to remember. Apart from being relevant and providing a strong sense of context, names on new domain extensions make for meaningful online monikers that are memorable and supremely brandable. Edgar Oganesyan runs a tech channel on YouTube that has almost 200,000 subscribers and he uses www.edgar.tech to redirect his viewers to his YouTube channel. Not only is his URL easy to remember, but it clearly implies what to expect when you land on the page. It is often believed that new domain extensions have a negative impact on a website’s SEO ranking on search engines. However, new domains are as good as any other traditional top-level domain when it comes to search engine optimization. Even Google has addressed how they treat new TLDs (top-level domains). SEO ranking depends on multiple factors, chief among which include regularly publishing high-quality original content and the number of on-page backlinks from reputed websites. Towards this, a domain name rich in keywords can help attract relevant backlinks that can in-turn help a website to rank higher on search engines. For instance, www.LondonFood.tech can get backlinks on the anchor text ‘London food tech’ from reputed websites. This will give search engines a positive indication about the website’s relevance for those keywords. Therefore, a keyword-rich name on new domain extensions can, in fact, help boost a website’s SEO and scale your business. How do New Domains impact SEO? New domains and SEO. What is the connection between the two? nTLDs offer a great opportunity for businesses and individuals to get a domain name that they desire. Find out what users have to say about the impact of new domains and SEO. With new domain extensions, you no longer have to choose a long, awkward, and complicated domain name for your cutting-edge tech business. Simply having a great idea or product isn’t enough to rise above the competition. You need a brand message that can cut through the noise and stick in the minds of your target audience. 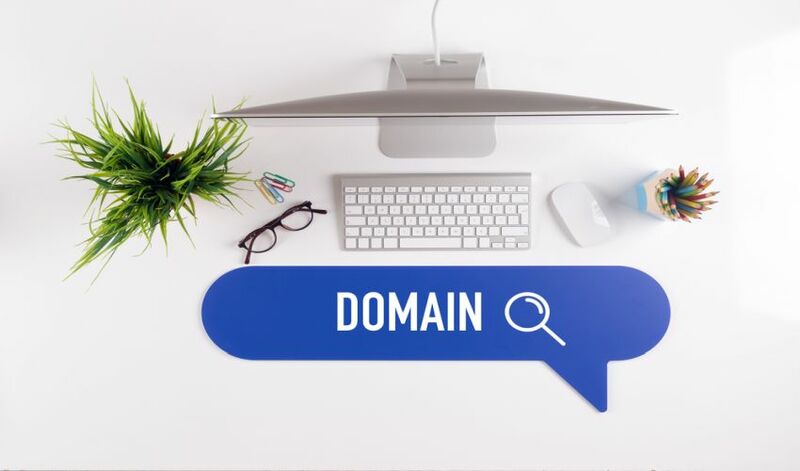 We’ve already established in the points above that new domain extensions are short, affluential, memorable, and great for search engine rankings; these are the ingredients of a strong brand in the digital era. Since your domain extension clearly gives context about what you do, you can get clever with your name ideas. You can bolster your brand in the minds of your target audience by simply using your brand name as a prefix to .tech. Viacom uses www.viacom.tech to denote their technology portal as does www.hollywood.tech, a company that connects Hollywood celebrities with tech brands for social media promotions. Looking for a domain name for your tech startup? Get it here!